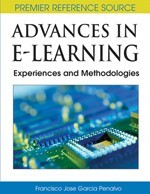 This chapter introduces RAPAD, a reflective and participatory methodology for e-learning and lifelong learning. It argues that by engaging in a reflective and participatory design process for a personalized e-learning environment, individual students can attain a conceptual change in understanding the learning and e-learning process, especially their own. Students use a framework provided by the concept of a personal cognitive or learning profile and the design and development of a personalized e-learning environment (PELE) to engage with key aspects of their learning. This results in Flexible Student Alignment, a process by which students are better able to match their learning and e-learning characteristics and requirements to the practices, resources, and structures of universities in the emerging knowledge society. The use of Web-based technologies and personal reflection ensure that RAPAD is well-placed to be an adaptive methodology which continues to enhance the process of lifelong learning.